Since the beginning of history, our ancestors have looked to the skies to navigate vast oceans and gain a better understanding of our place in the universe. Even today, this primal instinct to gaze up at the night sky continues to have positive effects on our individual and social wellbeing. Research shows that stargazing promotes children’s natural curiosity and interest in math and science, which is increasingly important as STEM careers grow in demand. 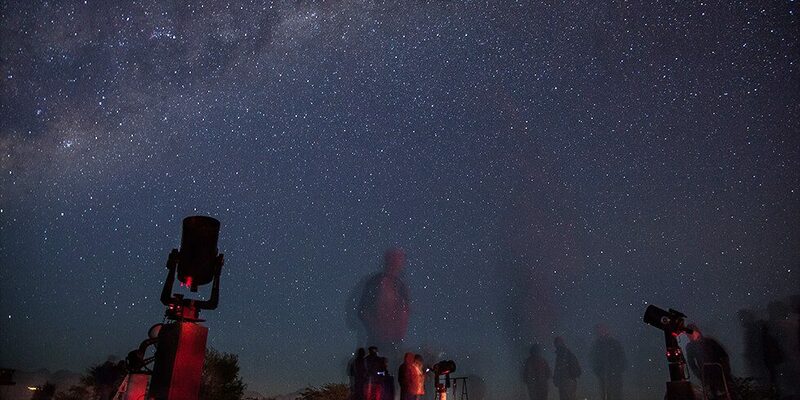 It’s also been shown that the sense of connectivity and awe felt by many stargazers is linked to an increase in selfless, altruistic behavior towards others. For these reasons and many more, the city of Dripping Springs and Headwaters are committed partners in reducing light pollution in our community. As the first Dark Sky Community in Texas and a member of the International Dark-Sky Association, Dripping Springs requires smart lighting solutions that reduce glare and skyglow to protect our beautiful night sky. We have carefully chosen lighting options for Headwaters that comply with stringent light pollution-reducing guidelines without sacrificing the community aesthetic. Special Dark Sky-compliant lighting is not the only way Headwaters makes it easier for residents to enjoy the stars at night. Residents have access to more than 700 acres of open space, 300 acres of future city parkland, plus five preserved hilltops throughout the community where they can lay out a blanket for a romantic date night or family lesson on constellations. There’s even a stargazing amphitheater at Homestead Park, where families can set up a telescope or gather with the rest of the community for big celestial events like lunar eclipses, meteor showers and supermoons! At Headwaters, we know it’s important to preserve our dark skies not just for residents, but for future generations as well, because every child should be able to make a wish on a shooting star and every young person should be able to look up and wonder about their place in the universe. Stargazing is one of the simplest joys in life. It has a way of inspiring awe in our everyday lives, of making us feel connected to something greater than ourselves, of bringing us back down to earth. The steps taken at Headwaters and throughout Dripping Springs to protect our dark skies help residents feel more connected not only to nature, but to each other. Interested in learning more about a community built for stargazers and nature lovers? Sign up for the Founders Club to receive community updates or visit our community any day of the week! Click here for our model homes’ hours.